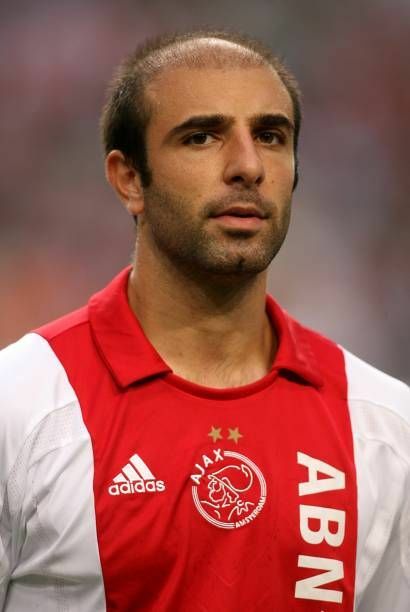 All those that have played Championship Manager's 01/02 Edition will know of a hidden gem that can be bought in very cheap from Swedish football called Kennedy Bakircioglu. While his stats are not particularly impressive initially, at the age of 22, he makes rapid and massive gains to make him one of, maybe even the, best attacking midfielder in the game. Like so many in the older versions of the game, the reality has never matched up to the game version. In 1972 an ethnic Assyrian family moved to Sweden from Midyat, Turkey as Christian Assyrians were being harassed in Turkey. Sari and Benjamin Bakircioglu moved to Sodertalje to join an Assyrian diaspora looking to escape the problems back home. There father Benjamin joined a newly created team, created by the diaspora, called Assyriska. Benjamin went on to become the teams record goalscorer and the proud father to Kennedy, named after US President John F Kennedy, in November 1980. Unsurprisingly, with his father, Kennedy remembers his childhood as being all about sport, but mostly football as his father pushed him towards the game. With that in mind it is not exactly a shock that Kennedy ended up beginning his career with his father's club Assyriska, making his senior debut aged just 15 in 1996. It was not long before he was a regular with the club which played in the second tier in the Swedish league, where seasons run from January to December, rather than the more usual European season. Things were not all plain sailing for the Swede as a training camp at the age of 17 saw him fear for his life when they travelled away with the entire squad. Three of them, Kennedy, Louay Chanko and Fredrik Samuelsson, headed to a shop to buy some sweets when they found themselves confronted by a large group of around 40-50 neo-Nazis, with shaven heads, military trousers and steel-capped boots. Samuelsson, being a blonde, was told to leave as the thugs did not want to 'risk the future of the white race'. Chanko and Kennedy, who both had dark hair, were told that they did not belong in Sweden before the neo-Nazis all chanted 'Sieg Heil'. The pair made a run for it and managed to make it to the hotel as the rest of the team came out to rescue them and chased off the thugs after a brawl. Kennedy admitted in his autobiography 'Say oh, ah Kennedy' that he feared they would be killed by the gang. Kennedy did go on to break one of his dad's records when he completed 51 senior appearances in a season, beating his dad's previous record of 49. The 1998 season was a breakthrough for him, in 25 league games he got 9 goals and 8 assists from an attacking midfield role, netting interest from clubs as diverse as Swiss side Lugano and, to his own surprise, Manchester United. Kennedy said: "When our chairman called and told me about their invitation, I thought he was joking." Kennedy's trial spell under the watchful eye of Alex Ferguson did not work out for him at his favourite Premier League side, so he ended up instead moving to another Swedish club, Hammarby IF. 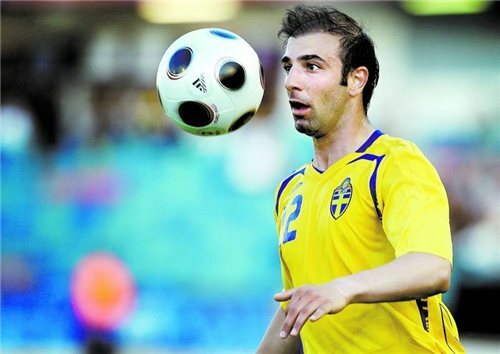 Hammarby meant he was stepping up into the top flight and professional football, which he found initially to be a struggle due to injury problems. It took him until 1st of July to score his very first competitive goal for the club but he went on from strength to strength after that. At the end of the year he was voted "Allsvenskan Newcomer of the Year" after playing in 25 league games and scoring 2 goals. He also earned himself a place in the Swedish under 21 side. The 2000 campaign saw him become a key component of manager Soren Cratz's team as an attacking midfielder behind 2 strikers. Hammarby finished the season in 8th with Kennedy making 26 league appearances and scoring 5 goals. The following season was even better for the young Swede as scored 8 goals and provided 7 assists in 26 games as Hammarby won their first ever league title with Kennedy lauded as player of the season by pundits. The following season was difficult, Hammarby were reigning champions but they struggled badly and came nowhere near a title challenge and their attempt to get into the Champions League proper fell at the first hurdle. A 5-1 aggregate defeat at the hands of Serbian side FK Partizan did not help the confidence of the team who ended the season in 9th place in the Allsvenskan. Kennedy himself had a decent season as he notched 11 goals in 26 games. He did well enough to attract the interest of Turkish side Besiktas JK and he attended a meeting with Hammarby officials and Besiktas' sporting director and president about signing him, but the deal fell through. Kennedy started the 2003 campaign on fire with 6 goals in the first 7 games as Hammarby put themselves back in the title race. 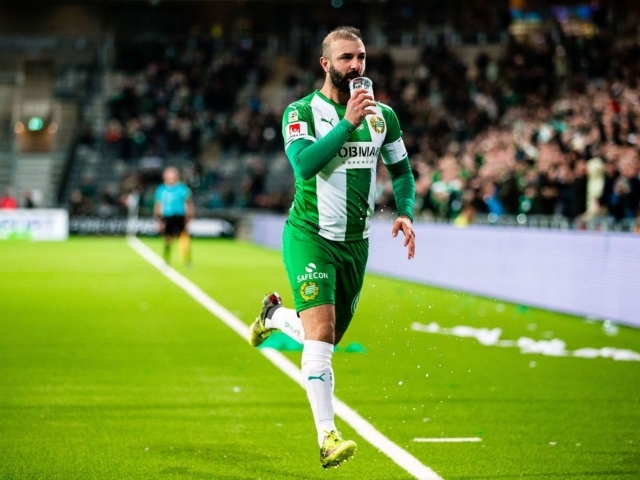 With Hammarby top of the league, it all went wrong in September as he and Mikael Andersson were suspended by the club after turning down contract extensions. The suspensions were lifted after a few days, but it was too late for Hammarby, who had lost top spot to city rivals Djurgardens IF and were never able to regain it. While Andersson agreed a new contract, Kennedy never did and left on a Bosman at the end of the season. 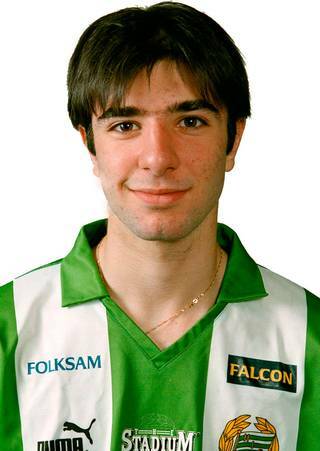 A year later in a vote, he was chosen as Hammarby's 4th best player of all time by the fans. With the option to join Fenerbahce and Heerenveen on the table, instead he decided to link up with Swedish coach Mats Jingblad at Iraklis 1908 Thessaloniki in the Greek Superleague, signing a 2 and a half year deal on the 12th January 2004. He was unfortunate as Jingblad only lasted until May and Kennedy was used sparingly before leaving in 2005 during the summer transfer window to join Eredivisie side Twente. This time Kennedy was shown that he was valued and was immediately thrown in as a first-team regular, it was here that he started to show signs of the quality that made him so highly rated a few years earlier. 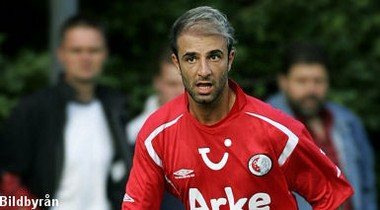 In his second season with Twente, he helped them to 4th place and qualification for the UEFA Cup with 15 goals in the league. Three teams came in for him as that 2006/7 season came to an end, PSV Eindhoven, SV Hamburg and Ajax, with De Telegraaf reporting on the 5th May 2007 that he had agreed terms with Ajax. Ten days later, on the 15th, he officially signed for Ajax, at the age of 26 he signed a 4 year deal with Amsterdam club. He had played 82 times for Twente and scored 27 goals for the club prior to his move. His debut was equally impressive as his Twente stats as he scored in an 8-1 hammering at De Graafschap. The following summer Kennedy was first reserve for the Sweden squad that went to Euro 08, but he never made it into the tournament. In fact he never once made it to a major tournament with the Swedish team, despite making 14 appearances for the national side. Returning to club duty was no better for Kennedy, with new manager Marco van Basten deeming him surplus to requirements, with Luis Suarez keeping him out of the side. Despite van Basten wanting to sell him, Kennedy decided to stay and fight for his place, but, after just 17 appearances in the next 2 seasons, Kennedy terminated his Ajax deal with one season left to run. It was off to Spain's La Liga next for a now 29 year old Kennedy as he signed for relegation battlers Racing Santander. He joined them in early July on a 2 year deal, playing 32 times as he helped them avoid relegation. The 2011/12 season was a difficult one for Kennedy personally, as he struggled with an Achille's tendon injury and was unable to put together a decent run of games. It was worse for the club, who were relegated after 10 years in La Liga. With his Santander contract at an end, Kennedy returned to Hammarby at the end of August 2012, who were now in the second tier of Swedish football. He was soon named captain and, in the 2014 season, led the team back into the top flight as top scorer with 17 goals. Moving deeper into central midfield to occupy a playmaking role, he was a regular for the next 2 seasons as Hammarby finished in 11th both years. Kennedy was now ageing, mid-30s and was given a 1 year contract, though he featured much more rarely than before. This year, 2018, he signed his final Hammarby contract, for his final season with the club. While he spent most of it on the bench, he managed to make almost as much of an impact with just one moment as he had managed throughout his career. It brought him to the public attention in a way that almost equalled his virtual exploits on Champ Man when, on the 1st of October 2018 he came off the bench for Hammarby. With his team 2-0 up against Goteborg, they were awarded a free kick fully 30 yards from goal. Kennedy stepped up and scored a spectacular goal then ran off along the side of the pitch to celebrate with the fans as a plastic cup of beer came flying out of the crowd and right into his hand, where he drank it. Video of the incident soon went viral and he had his 15 minutes of real fame to add to his virtual moment. Kennedy left Hammarby at the end of the season and was given a huge send off at the final game on 5th November. The club have also retired his number 10 for 10 years, though it is not just because of his play on the pitch, but also for what he did off the pitch. All through his career he has been one of those rare modern day players who donates his time willingly for hospital visits etc. He regularly donates his match worn boots and shirts to charity as well. It is probably part of the reason why he is a legend to Hammarby fans, where he has his own chant, oh, ah, Kennedy! That chant became the title of his autobiography, 'Say oh, ah Kennedy', which he co-authored with Benny Haag. In it he admits that he cost himself a chance of achieving his potential by staying in Swedish football for too long and that he still has people approach him to tell him how good he was in the game. And he truly was good. In the game anyway.